The film revolves around Michael Banks (Ben Whinshaw) during London’s depression, just after his wife has passed away. He’s run out of money and is unable to keep his head above water. The Banks children, Annabelle, John and Georgie are mostly oblivious to the financial woes but have had to grow up fast after the death of their mother. Michael’s sister, Jane (played by Emily Mortimer), is on hand to help keep the family together, but with the bank trying to foreclose on the family home it seems to be going downhill fast. And then, here comes Mary. Arriving on cue from the heavens above, Mary returns to the children she helped in the first film in order to rescue the second generation of Banks kids. And so the magic begins. 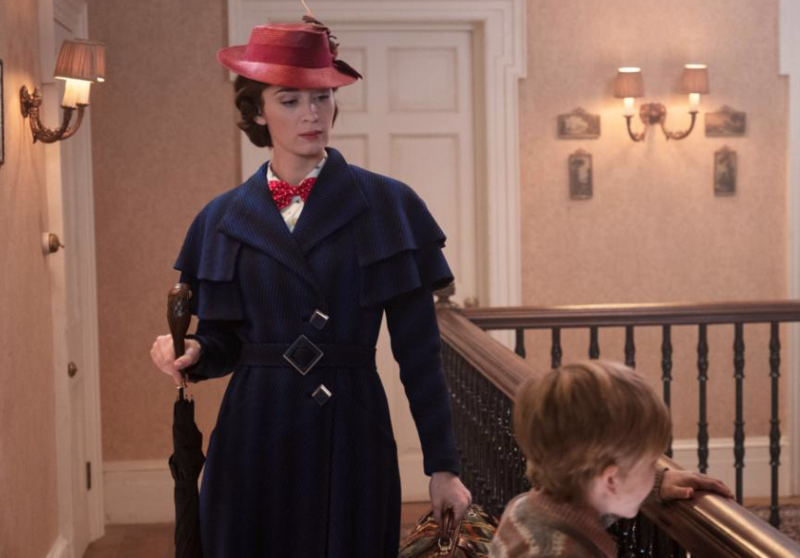 The film is full of whimsy including, talking umbrella heads, dazzling song and dance numbers that draw the characters into new worlds, and scenes that turn worlds upside down (complete with cameo from an Oscar winning Actress as Mary’s cousin Topsy). 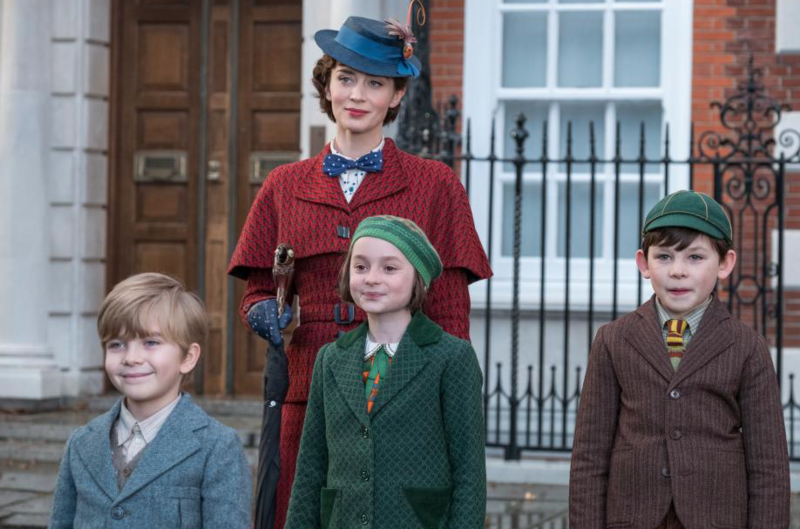 As Michael and Jane work to try and find the solution to save the family home, the Banks children find themselves falling for the charm of Mary Poppins, just as their father and aunt did all those years ago. With the help of the lamplighter, Bert, they learn lessons that they didn’t even know they needed. 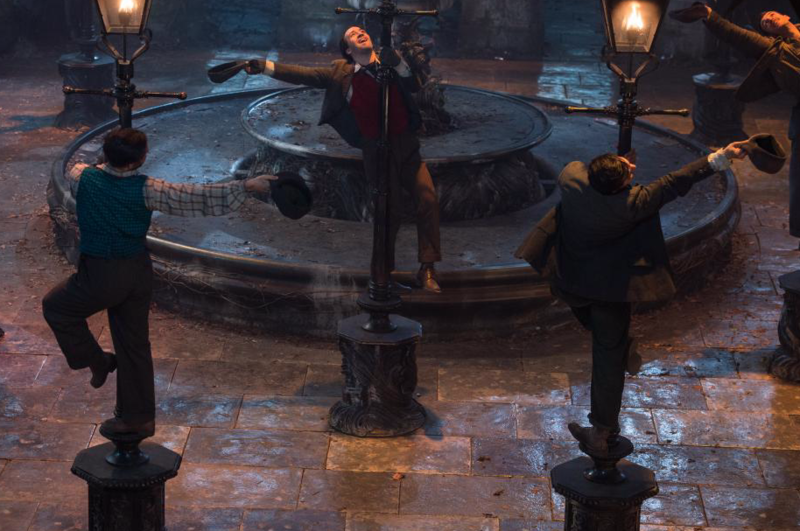 The song and dance sequences light up the screen, and quite honestly I could listen to “Trip a Little Light Fantastic” over and over again. It’s the new spoon full of sugar. There’s not one person who doesn’t shine in their perfectly cast role, including Colin Firth as the villainous bank manager. There are of course cameos that will delight, but it’s Blunt that rises to the top as practically perfect in every way. This entry was posted on Wednesday, December 19th, 2018 at 1:23 pm	and is filed under Film, News. You can follow any responses to this entry through the RSS 2.0 feed. You can skip to the end and leave a response. Pinging is currently not allowed.